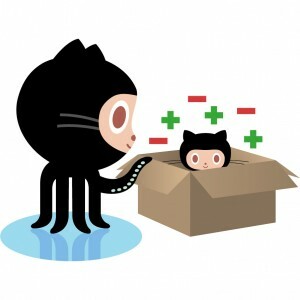 This page contains recommended resources for learning Git and Github, which we will use this semester to store, manage and share our projects. Install Git for Windows which includes a Unix-like Bash terminal environment that matches the commands in the Try Git tutorial. Set you username and email address (only need to do this once). Turn on git colors with makes reading status and diffs much easier (only need to do this once). You shouldn’t need to do this if you’re using the Git Bash installed by Git for Windows. The following are pulled form the excellent Introduction to Git. A small list of the bread and butter Bash/Shell/Terminal commands. Some of these commands respond to the”-h” or “–help” options which print out a small usage reference. Many of the simple commands (ls, cp, mv) don’t respond to “–help” but will simply print out a usage line when they don’t understand the given arguments. Use the UP & DOWN arrow keys to scroll and ‘q’ to quit. This is just a small list of git commands. See the references below for more detailed info. All of the git commands respond to “–help”. git rm – remove a file or folder form the staging area, removing a modfied file may require the -f argument to force it, -r adds files recursively (useful within folders). git branch some_branch – creates a branch called “some_branch”; don;t forget to switch to it using git checkout!